Embarking on a path to discovery in a world of disconnected information is overwhelming. As you attempt to follow the thread of your hypothesis through a literature search, it is easy to be led astray by misinformation, dead-ends, siloed knowledge, and well-trodden paths. The result is a lost thread where information is elusive, and knowledge is never truly acquired. Researchers at every stage of their scientific careers encounter novel terms and concepts and require contextual knowledge to fully grasp and interpret scholarly material. Literature searches are undertaken with the hope that they will rapidly reveal comprehensive, reliable and understandable results. But sometimes available literature search tools don’t give you that understanding. They may not reveal the topics that might expand your understanding, or the vital, but often hidden, contextual sources necessary to foster learning. This is because search tools don’t create paths that guide you to the sources you need, when you need them. Books contain the valuable contextual knowledge base and framework required to make sense of a new or evolving field. However, the answers from books that can lead you to better decisions, and help spark new insights, are not easily accessible during an online search or in the midst of reading a journal article. Consulting search engines often reveals an avalanche of content, primarily unfiltered, some totally irrelevant and even content that is unsubstantiated. When seeking information in a professional journal, researchers often come upon terms that lead them to seek more detail to understand the article. Whether it’s a familiar subject, or a brand new topic, Elsevier’s user behavior data shows that researchers frequently leave the article and look elsewhere online for that supportive contextual material. Eventually, he or she will go back to the original article, and the process might repeat itself until the research is complete and the article is understood. Talk about time-consuming and frustrating! ScienceDirect Topics is a research enhancement that brings the path of discovery to you. The enhancement fosters and speeds up insight by bringing you to comprehensive, credible and interdisciplinary knowledge that diversifies your sources, thereby increasing your chances for serendipitous discovery. ScienceDirect Topics eliminates the overwhelming and disjointed research process encountered by students, educators and researchers. Using smart technology and innovative algorithms, it integrates book and journal content chosen by natural language processing tools to create an interactive, seamless and convenient reading experience. ScienceDirect Topics surfaces a free layer of information that provides both contextual relevance and subject breadth to enhance your reading experience while at the same time revealing content that may help deepen your understanding of a topic of interest. Now, researchers have rapid access to the most relevant content – filtered to prevent information overload -- right when and where they need it. When someone turns to Google with a search term, he or she will find links to topic pages which contain selected and targeted content from Elsevier’s library of books and reference works. This content is written by experts in their field and peer reviewed to ensure that you receive authoritative, citable and meaningful results. The new topic pages are also hyperlinked from terms right within journal articles found on ScienceDirect, to help readers quickly and accurately interpret those articles with authoritative and citable definitions and overviews. Currently available in more than 80,000 pages in life sciences, biomedical sciences and neuroscience, ScienceDirect Topics are free to access and will expand into several other subject domains over the next few months. When doing research, many undergraduate and graduate students are learning about a field for the first time, or orienting themselves to a brand new project. They need fundamental information that will educate them on the new subject…but the search process should not be more difficult than the topic itself! ScienceDirect Topics is an easy and interactive enhancement that helps students understand journal articles in novel subject areas. The students can conduct more rapid and fruitful searches, either using search engines or ScienceDirect or both. Plus, their professors can be assured that the content discovered by their students is reliable, and helping them interpret complex scientific literature. Students at Lafayette College who have already used ScienceDirect Topics are giving it positive reviews. One said, I thought it was very helpful. I could contain my searches to the article without wasting time looking information up elsewhere , while another noted, They made the article clearer and provided an easy way to make sure one had a full understanding . A fellow student called ScienceDirect Topics easy-to-digest definitions or explanations of scientific terms . No matter where you are in your scientific career, whether a student, post-doc, professor or researcher, you will face certain situations that require reliable foundational information at various points in your workflow. The content provided by ScienceDirect Topics can be used in multiple ways: to remain current in the field, research a new subject, explore interdisciplinary work, write grants and articles, and design experiments. Early career researchers and post-doctoral students have some domain expertise, but they also do a fair amount of multidisciplinary research. Foundational content helps readers at this level identify new targets for investigation and get them up to speed on related topics in the literature. It’s important for researchers at this level to obtain information within context, so they have a comprehensive view of a topic and can understand the connections between disciplines. The same applies to principle researchers and laboratory directors. Although these domain experts are seasoned researchers, grant applications are imperative at this career level…which translates to a large amount of multidisciplinary investigation in a challenging funding climate with funding bodies that increasingly require multifaceted approaches to be taken. Readers need to get up to speed on a topic quickly to determine how they can apply their research to a new area and funding space. ScienceDirect Topics enhances interdisciplinary research by providing snippets taken from multiple book sources right on the topic pages. These help readers uncover links to other disciplines, understand the material from different angles and keep up with the work of their collaborators, thanks to a more comprehensive overview than a single source would provide. The “related terms” listed on topic pages also may reveal unexpected paths and links to unforeseen content. Using ScienceDirect Topics, researchers can better onboard themselves to a new topic or view concept-specific information that will help orient them to a particular article of interest - as well as the wider field at large. 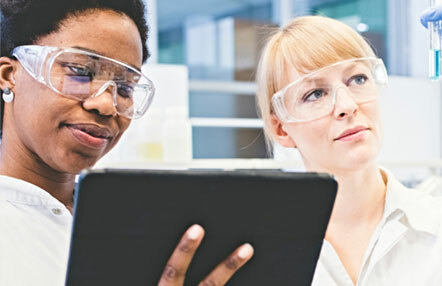 ScienceDirect Topics can assist researchers who are writing grants and research articles, with overviews that allow researchers to quickly and efficiently gather large amounts of relevant information about a new or existing topic. It helps in identifying novel targets, providing thorough background information and deep topic exploration, so you may justify the relevancy of the funding you seek, or the theory you are presenting. There is clearly a major need for “understanding the article” among researchers and the need for an authoritative source of relevant foundational information. ScienceDirect Topics meets this need head-on, anticipating and providing contextual content, encyclopedic overviews and deeper exploration of topics alongside journal articles. It enables different sources of knowledge to connect and form an exploratory network, the optimal environment for intuitive learning. ScienceDirect Topics is a research and discovery enhancement unlike any other.